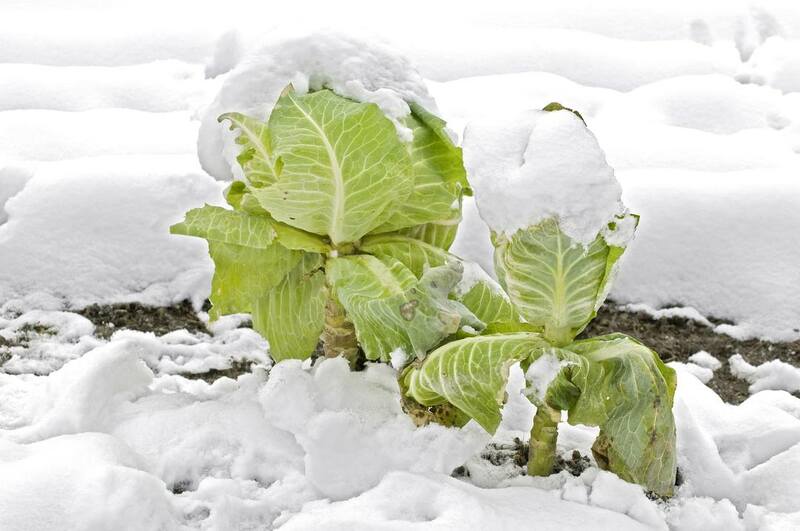 These tips for helping your brassicas in winter were sent in by readers. We’ve not tried all the tips – so if you try a tip, let us know how you got on in the comments box below. We’re always happy to get comments, tips and even full articles for the site from gardeners: just contact me or pop your tip in on the comments box below. If you are cutting your winter Kale on a “cut and come again” basis, when you do cut the leaves its a good idea to cut at an angle, about 45 degrees would be great. This helps to prevent rot and disease, plus it aids water run off. Keeping the cut and the plant fresher for the next cut. Locate north on your plot and dig a little soil away from the base of your broccoli plants on the north side. Then go around to the south side and using a spade gently tilt the plant over, then build up a little soil and compact it so that the plant head lays over a little. 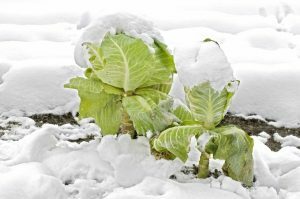 This will ensure a slow thaw out in the worst frosty days, thereby avoiding browning and spoiling the tops of your much cared for winter food. Root Pruning! This will slow down growth to normal but not stop it totally. Dig your shovel in about a foot out and a spade depth down forming a square around the plant. This chops off the thin roots that will eventually weaken the whole system when its strength is most needed. Just push the spade right down do not wiggle it about then pull it out and tread the soil back down. Job done!